Show Report: Kodak - Panasonic. 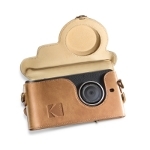 Kodak Ektra is a phone more adapted to the needs of the discerning photographer than to the standard mobile communication process. As might be expected, the user interface is similar to this of a DSLR (but with virtual controls) and a full manual mode, with adjustable shutter speed and ISO, is included. 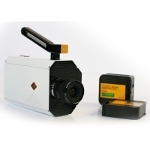 Kodak, also, confirmed their intention to revive the classic super-8 film creation, presenting prototypes of cameras in operation (last year we had only seen some concept prototypes and the film-development workflow). 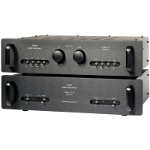 Lamm displayed the reference version of their top preamplifier, L2, details of which have been released for some time now. The new version includes component upgrades, aiming, primarily, to reduce noise. The new model is called L2.1 Reference and the visual differences between the new and the standard models are zero. Lexicon presented the prototype of a loudspeaker code-named SL-1. This is a rather unusual design, featuring 12 dome tweeters, 8 midrange drivers, and 4 woofers, in an active DSP controlled design with 22 power amplifiers, 1.25kW in total. The main goal is to utilize the SoundSteer technology to create sweet spots "on demand", regardless of the loudspeaker position in space. 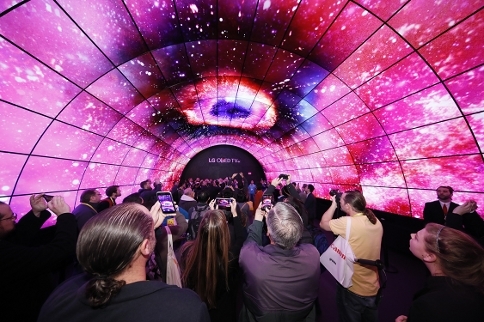 LG stole the limelight in TV-sets this year with their new Signature TV W series. 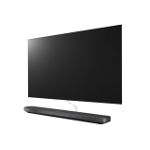 The series include 10 models, all featuring extremely thin OLED panels, Dolby Vision and Dolby Atmos compatibility. The photo shows the top-of-the-range, 77-inch, model. The company supported their TV-sets with the appropriate source. The UP970 is LG's first 4K Blu-ray and supports HDR, Dolby Vision (through a near-future upgrade) and Dolby Atmos. Lindemann showed the Musicbook:25 DSD, a device which includes everything except a power amplifier. 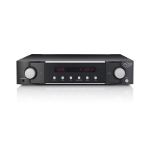 The combo features an optical drive, an analog preamplifier and a DAC with four inputs (including a USB port). Streaming through a wired or wireless connection is also supported. Magico displayed their S3 MkII loudspeaker. 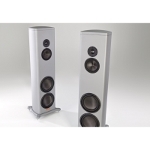 Like the other models in the "S" series, the new S3 features new drivers, based on nano-materials and a cabinet created from a heavy aluminum profile, twelve inches in diameter. 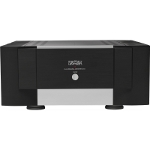 Mark Levinson's No.515 is … a turntable! To our knowledge, this is the first of its kind for the company, and it is manufactured in cooperation with VPI. Based on an MDF/aluminum layered plinth, features a 10kg platter, belt-driven by a synchronous motor. 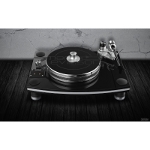 A 3d-printed tonearm, apparently designed by VPI, is used. … and the No.534 power amp, with an output stage capable of 2x250W, biased to offer Class A operation in class A in most everyday use situations. 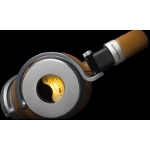 Meters Music unveiled the OV-1 headphones, a design that features an analog VU-meter on each cap, mainly for aesthetic reasons, as stated by the company. The truth is that the end result is indeed very interesting. Metronome Technologie's music server can handle all high-resolution PCM files and DSD files up to 2x. It has an optical drive with a ripping function and an internal storage capacity of 2TB, expandable up to 6TB. It has no built-in DAC, but only digital outputs and supports both wired or wireless network connections. 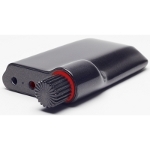 Mytek presented the Clef, a small Bluetooth wireless DAC/Headphone amplifier. Clef supports high resolution playback (including MQA) and is expected on the market just before the summer. The price will be below $300. 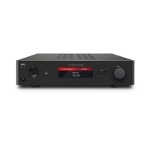 NAD demonstrated their C368 integrated amplifier, a modular device which provides a core set of features (including a phono input) and allows for several upgrade options including an HDMI switcher, additional analog and digital inputs and even wireless streaming through a BluOS module. 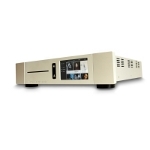 The power amp is a class D design, and the power supply is of the switching type. 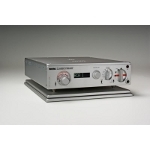 Nagra showed the Classic preamplifier, with a tube-based, class A circuit. It has a total of five inputs (one balanced), a headphone amplifier similar to that of the HD DAC and the well-known Nagra-style aesthetics. The same company also demonstrated the HD AMP, their top of monoblock design, which delivers 250W/8 Ohm of which the 30W are n class A through a MOSFET power stage. 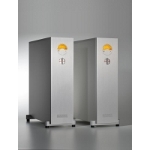 The power supply uses a 1.6kVA transformer and includes a 264.000uF filter using custom Mundorf capacitors. 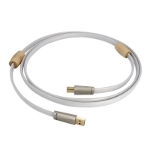 Nordost presented their new USB cable the Valhalla 2 USB 2.0. The new cable features a rectangular cross section, with parallel data lines (reducing their length relative to the twisted pair architecture), better power supply lines isolation and uses a separate shield screen for each line. Onkyo introduced the VC-FLX1, a "smart" wireless loudspeaker which supports Amazon's Alexa, includes a security camera and sensors for temperature and humidity but, also, emphasizes on sound quality. 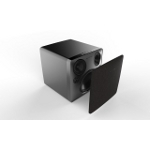 Optoma/NuForce introduced the Q7, a wireless loudspeaker capable of supporting multiroom systems. It uses an aluminum cabinet and includes two tweeters, two mids, and a woofer. It supports wireless connections via WiFi and Bluetooth. It is expected during the 2Q 2017. 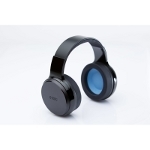 The "X" from Ossic is a headphone system based on heavy DSP to create the impression of a three-dimensional space. It is adaptable to the listener's physiology and features head movement detection to be used in VR applications, home theater, and desktop/immersive/ gaming environments. … and accompanied them by the presentation of their top TV-set, the EZ1002. It is a second generation 4K/OLED device with a 65-inch flat screen (Panasonic's first generation of OLED TVs had curved panels). 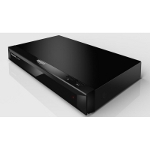 It is compatible with HDR and features the HCX2 video processor. 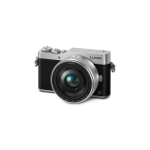 Panasonic added the GX850 to the Lumix series. This is a DSLM (mirrorless) optimized for daily use (i.e, essentially for selfies and social uploads …). The camera offers 4K resolution (3840x2160) video, features a number of processes for image optimization and captures individual frames from a sequence at 30fps to pinpoint the best pose.